In a search engine pay-per-click advertising campaign, achieving more clicks may simply be a matter of employing a generic domain name. Two studies show that the use of a generic domain name in search engine ads resulted in higher click-through rates (CTRs) compared to ads with a non-generic domain name. Do you want to transfer your domain name to a different registrar, but aren’t quite sure where to start? Maybe you are initiating a domain transfer process to sell your unused domain. Maybe you need additional services that your current registrar does not provide. Maybe you are simply looking for a price break. Regardless of your reasons, transferring your domain name to a new registrar is relatively easy and straightforward. We show you how. The Week of Domaining In Review: September 2, 2011. The latest domain name news, hand-picked for you. Internet Keeps Expanding …, .Org Sponsors NASCAR …, Is There a .Bank in …, Major Domains Were Targeted in …, More Than 21…, New ICANN VP Thomas Spiller …, Verisign: 5.2 Million More Domain …, Advertisers Slam Proposed Changes to …, Web Host Flexihost Launches Nz …, Walgreens Needs Pain Killers After … The latest domain name news, hand-picked for you. Most people thinking about the possibility of launching a new gTLD, such as .casino or .nyc, do not have the luxury of getting free advice from an industry expert. Until today. Listen in as domain name expert Michael Berkens, co-founder and managing director of Right of the Dot, answers questions about the opportunities, costs and legal aspects of the new gTLDs being launched by ICANN. When it comes to marketing, the two biggest problems that small business owners face are effective ad buying and maintaining a consistent effort. While it is easy to try a one-off marketing campaign, it can often lead to disappointment. Enter Legal Brand Marketing: a national brand that generates local leads for DUI lawyers. In this interview, founder and CEO Braden Pollock describes how providing targeted leads, geographic area exclusivity, and coaching on turning hot leads into paying customers has allowed Legal Brand Marketing to build a niche lead generation empire in just eight years. Today’s guest first became knowledgable about domain names as a webmaster at the dawn of the World Wide Web and later while working at an Internet high-flier. 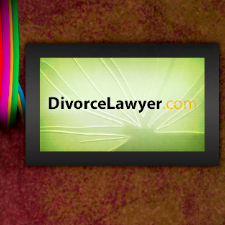 Now, he is an attorney specializing in intellectual property and domain names. In an interview that will be sure to interest entrepreneurs, start-ups, and domain name investors, David E. Weslow discusses: buy/sell domain name agreements, trademarks, auto-blogging software that is popular with WordPress-powered websites, UDRP issues, lawsuits, and much more. Any domain name that reaches expired status and is not renewed by the owner will likely be auctioned by an exclusive auction service. If you really want a domain name, find out which auction service the domain name will be auctioned at and get your bid ready.